Now that rosé season has hit its full stride, Los Angeles-area rosé fanatics rejoice! After the overwhelming success of the inaugural La Nuit en Rosé event held in 2014 in New York City, followed by an equally successful event in Miami in January 2015, La Nuit en Rosé event, is coming this Sunday, June 21 to the Skybar of the Mondrian Hotel for the first time. This elegant outdoor space with views is perfect for sipping rosé. La Nuit is the only true all-rosé and champagne festival of its kind and will bring a strong culinary focus. Did you know that top U.S. retailers are reporting growth of 25% over last year in rose sales? Last summer we indulged in magnums of rose in Ibiza and Formentera and this European staple of pinks has seem to taken the U.S. by storm. La Nuit’s founder Pierrick Bouquet (of course that is his last name), is a great authority on all things rosé and has literally just flown in from the world capital of rosé wine, Provence. 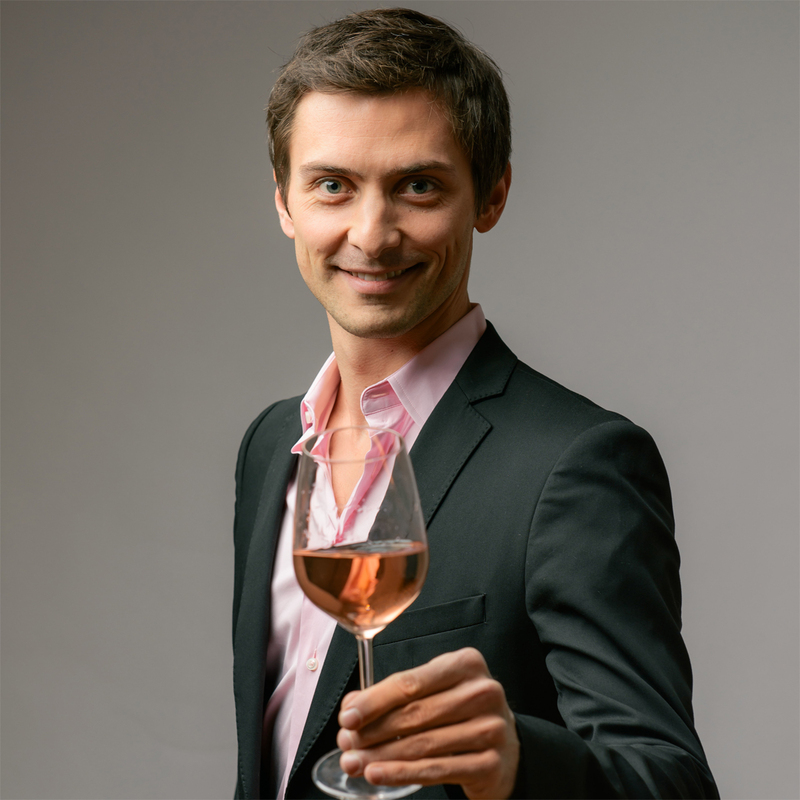 Pierrick Bouquet kindly gave us the LaLaScoop about Rose becoming the drink of choice, especially in summer. Q: What do you think attributes to this grand surge in rose sales in the U.S.? 1- Rosé wine conveys a sense of well being, “joie de vivre” as we say in French. It’s a product that marks the transition between winter and the beautiful spring/summer season. 2- Rosé puts everybody in a good mood. 3- One of the most versatile wines, it can be paired with almost any food and any occasion. 4- Affordable: $12-$20 price range for most quality rosés. 5- The increase in quality in the past few years put rosé on the map of great wines. Q: Which country sees the most rose sales? Q: I feel like it has become the summer drink of choice in many places. I was in Ibiza last summer and we would order magnums of rose at lunch each day and into the night. A: You are correct, rosé has become the summer drink of choice and in many hot places like Ibiza, clubs in New York, St Tropez, etc… it has become as fashionable as Champagne used to be. 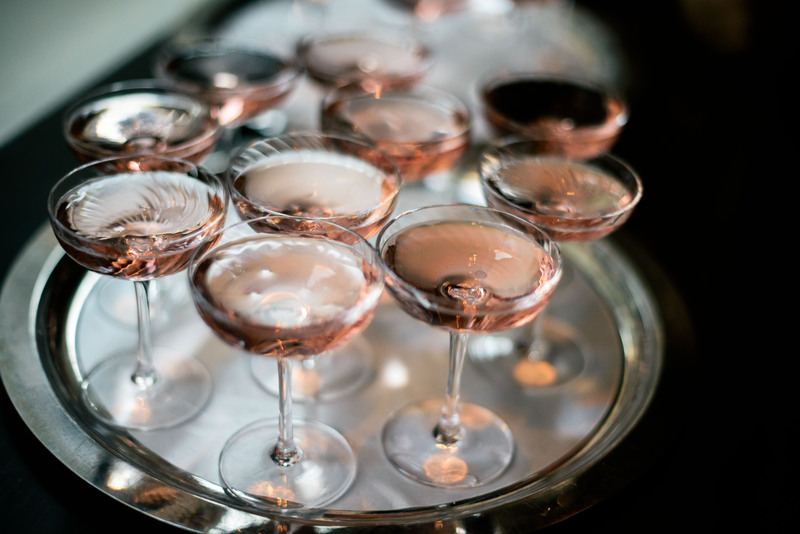 Is rosé the new Champagne? I think so! Q: Is there anything you would like to share with our readers about rose that Angelinos may want to know? A: The international lineup of wineries for the event include Château D’Esclans, Vie Vité, Château La Gordonne, Champagne Pommery, Champagne Nicolas Feuillate, Ferrari, Wines of Rioja , Val d’Orbieu Americas, Mulderbosch, Torres, Ouled Thaleb, The Withers, Beckmen Vineyards, Triennes and Mezzacorona. La Nuit en Rosé Los Angeles will offer a variety of ways to celebrate pink wine, such as enjoying a walk-around wine tasting with a light buffet or with more elaborate culinary offerings, and/or attend a Rosé Wine Pairing Dinner presented by Wine Enthusiast magazine. More and more US wineries are producing Provence style rosé (dry, light in color, low in alcohol) and we might see in the coming year the US becoming the 1st rosé wine producer. Currently the US produces half of what France produces in terms of rosé, and still a lot of White Zinfandel. 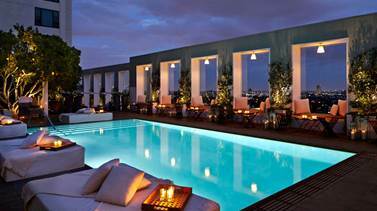 Get tickled pink by sipping your favorite rose poolside this Sunday in Hollywood. A perfect way to dive into summer. La Nuit en Rosé will also visit New York (June 25-27) soon after in 2015. Each event will feature up to 40 wine booths with a representative pouring and discussing the wines, themed food stations, indoor and/or outdoor lounge areas, a photo booth , a DJ and more , including a pink cocktail bar at the New York event . For more information on La Nuit en Rosé , please visit NuitRose.com.